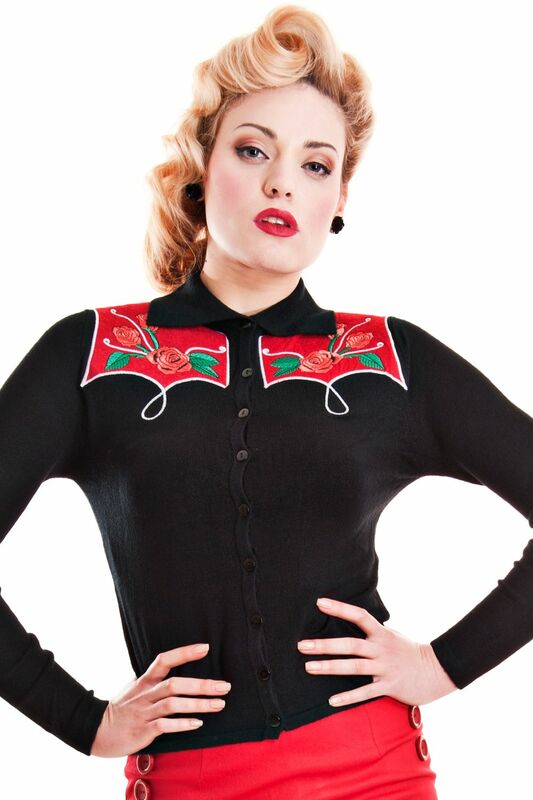 Jo Cowboy Cardigan .Pinup rodeo this cardigan has the most amazing detail and is the star of the show, looks great with rolled up denim. Girly and Gorgeous ! !